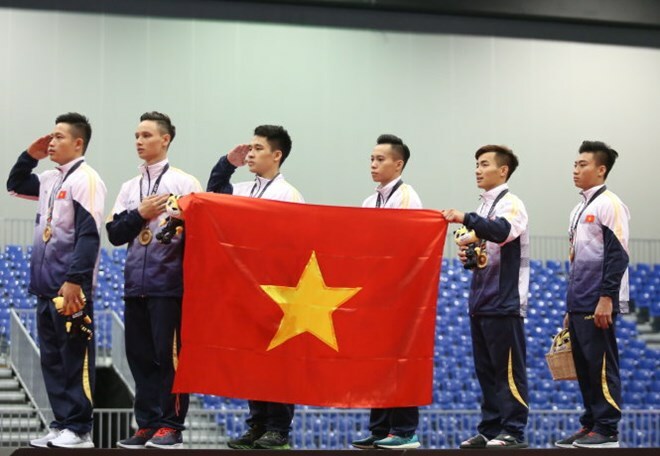 Kuala Lumpur (VNA) – Vietnamese gymnastics athletes have obtained a gold medal for the team’s event at the ongoing SEA Games 29 in Kuala Lumpur, Malaysia. The male team won the medal with 319,050 points on August 20, while their peers from Malaysia scored 305,550 points and Thailand, 293,200 points. Vietnam sent more than 470 athletes to compete at the Games from August 19-30. They are scheduled to take part in 32 out of 38 sports and meet about 6,000 athletes from 10 other countries in the region.